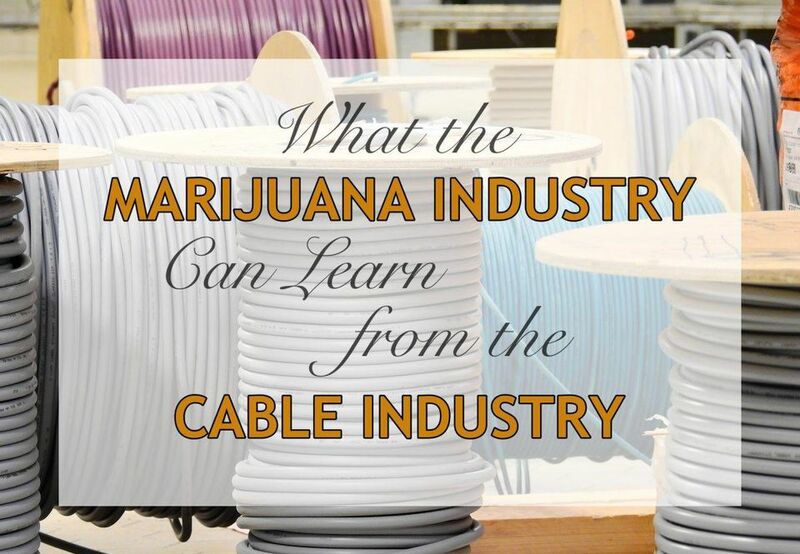 On their surfaces, the cable industry and the cannabis industry couldn’t be more different. However, as we will discuss today, they have both had similar developments and both face potentially tough regulatory challenges. Cannabis is expected to grow at an astronomical rate as more states legalize it and billions of dollars of investments flood into the industry. The prosperity of legalization is countered by the crippling effects of federal laws and state regulations. Places like Michigan and some Canadian provinces are seeing lawmakers put up barriers even after voters approved recreational cannabis. Cannabis companies can also fall prey to local zoning regulations as many states allow for local municipalities to decide if and how cannabis companies can operate within city limits. Today’s cable industry may not resemble the fledgling legal cannabis industry, but looking back at its history reveals the challenges it faced and the challenges that the cannabis industry itself may face. The cable industry has been around for over 70 years, and in that time has had game-changing innovations, yo-yoing regulatory frameworks, and continual threats to its business model from internal and external sources. Nevertheless, the cable industry has managed to persist and adapt through it all (though, there has been a consistent eulogization of the industry for the past decade). Consolidation, layoffs, and shifting competition still drive ripples through the industry. So much, in fact, I woke up to this story on the morning news in Denver, Colorado recently. From its beginnings as a small band of local, independent resellers, the industry is now dominated by massive conglomerations. According to the California Cable and Telecommunications Association, the cable industry begins in the mountainous regions of Arkansas, Oregon, and Pennsylvania in 1948. Soon after, the cable industry grew into a nationwide industry, though for the first two decades it did so under strict regulations that kept cable companies from importing distant television signals. In the 1970s, deregulation allowed for cable industries to expand their offerings to include nationwide broadcasts. During this time, cable providers were able to grow their user bases exponentially. The 80s and 90s provided a rollercoaster of regulation and deregulation as the cable industry became the dominant force in home entertainment. At the same time, historic mergers like Time Warner and AOL transformed the definition of a cable provider. In the new millennium, challenges from satellite providers, streaming providers, and rapid advances in technology have threatened the cable industry’s way of life. The legal cannabis industry in the U.S. began as a niche market in a few states over two decades ago. Now, more and more states are making recreational and medical marijuana legal and pressure is building for nationwide legalization. As the cannabis industry emerges from the shadows of the black market, it will become subject to strict regulations and economic challenges. While different from those of the cable industry, the cannabis industry should look to the cable industry to see how they dealt with the challenges of becoming a national and regulated industry. I spoke with veteran cable executive turned cannabis leader, Richard Batenburg, Jr., the chairman of Denver-based private equity fund management company Cliintel Capital Management Group about what the cannabis industry can learn from the cable industry. He likens today’s cannabis industry roll-out to the 1970’s cable television explosion. “We’re in the late 70’s, where the ‘cable cowboys’ like John Malone built up smaller cable companies for acquisition by larger ones,” Batenburg told me. Malone became the CEO of TCI cable in 1973 at 29 years old, later to sell the firm to AT&T for more than $50 billion in 1999. "The time to plan for the future and inevitable acquisition is now," Batenburg, the author of Change Is Great: Be First! stressed. The late 1980s marked the emergence of cable as a dominant economic and cultural force that surpassed broadcast TV. A friendly regulatory environment and plenty of investment allowed for a nationwide infrastructure to be built out. As The New York Times reported at the time, the success of cable industry came through easy expansion without the need to market itself. However, that success and the monopolies in many areas would bring down a wave of new regulations. More recently, huge acquisitions like Charter taking on Time Warner Cable have fueled growth and, as happened in the 80’s, brought activist and regulatory pressure. The constant regulatory changes, along with technological advances like satellite and streaming television, have made the cable industry reinvent itself again and again. In order to exert influence on those regulations, industry giants spend millions on lobbying. Comcast, for example, spent over $15 million in 2018. More than the cable industry, the cannabis industry faces a yo-yoing regulatory environment. Federal, state, and municipal regulations today are often contradictory, overlapping, and expensive to keep up with. Now that the industry is coming out of the shadows, the marijuana industry needs to step up its lobbying presence in state governments and the federal government. Batenburg recalled how overbuilders in cable's "wide open West" came in and talked counties to plant in the ground. 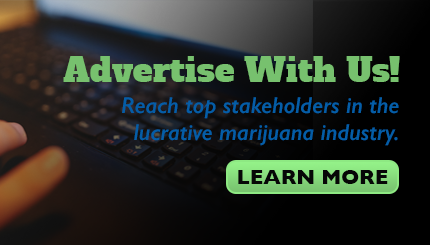 That kind of lobbying begins at the local level, and we're seeing that today in the way licensing is being administered across legal cannabis states. Considering that it took until 2018 for the federal government to recognize the difference between hemp and marijuana, the industry has a long way to go when it comes to educating lawmakers. In 2018, the marijuana industry spent just over $2.5 million. Industry groups need to bring together players in legal states to create a war chest for the coming fight for national legalization. Behind the scenes, cable companies are monstrous amalgamations of systems and processes run by thousands of employees. Those systems are there in part as a measure to maintain compliance with regulations that help ensure consumer privacy and broadcast standards. The enterprise arms of each company used conflicting platforms for online payments and billing, and complicated product sets and other inefficiencies have made the merger a challenge on the back end. And herein is the crux of Batenburg's foreshadowing: Plan for the future. "Most [cable] roll-ups were pretty painful because systems and culture weren't uniform," Batenburg said, "because the back-office and systems like CRMs, billing, supply chain, and other technology weren't standardized or thought through in advance." The need for consistent, unified systems and processes is even more urgent in the cannabis industry. Even in the nascent stages, the cannabis industry has seen a rash of high-profile acquisitions and mergers. Every type of cannabis business is required to provide stringent record-keeping, and disparate systems will make the prospect of mergers a compliance nightmare. Before we get to the point of cable-industry-level mega-mergers, the cannabis industry needs to create a universally understandable system for the integral processes that have to do with compliance. A Canadian blockchain company DMG Blockchain Solutions Inc. is trying to create a global supply chain platform for the industry that can bring together producers and retailers. "Have a unique operational and cultural advantage," Batenburg stressed. As a seasoned expert at building end-to-end processes to help front line employees deliver products and services to customers, he's been able to bring this mindset to the cannabis companies he works with. Such efforts will be needed in the U.S., as well. Part of that effort will come through the innovation of companies who provide ancillary products and services to the industry. The other part must be part of the national legalization lobbying effort. Right now, each legal state has its own standards and requirements for record-keeping. A unified regulatory framework will be needed to ensure the cannabis industry can become an interstate and international success. These days, the cable industry is notoriously costly to operate in, as cable TV companies must pay high prices for sports and broadcast programming via retransmission consent fees. The high costs have been passed on to consumers and made it one of the least popular industries in the nation. It’s also pushing out smaller providers, forcing companies into mergers to survive. "Cannabis, unlike cable, will not be able to play host to smaller providers in remote, less-populated areas like Nebraska, the Dakotas, and Kansas," Batenburg explained. There's simply no sustainability to it. In the early 2000s, cable companies pushed to roll-out fiber optic networks to replace older, slower metal cables. Not long after, though, economic shifts like the 2008 recession changed the calculus of fiber optic upgrades. With minimal competition from startups, giants like Verizon and AT&T realized it was too expensive and that consumers had nowhere else to go. As a result, America’s broadband cable industry is falling behind the rest of the world, with speeds less than half countries like Norway and Hungary. The cannabis industry faces high operating costs, but with federal prohibition in effect, that high cost is exacerbated by the fact that it is mostly an all-cash industry, with little access to banking (for the most part). Right now, the infrastructure of the cannabis industry is limited to local markets. However, as the cannabis industry goes global, the U.S. will need to play catch-up with Canada and China, who are two of the world’s biggest producers. While U.S. domestic cannabis growth will remain a boom market for the near future, producers will need to look beyond the borders to maintain growth at some point (once the federal government okays inter-state and international cannabis trade, of course). As the Canadian operators are discovering after national legalization, there’s a huge need for people who can create and scale supply chain operations that keep down costs but maintain compliance with federal regulations. "Cannabis companies must ask themselves, 'If we grow 200%, and buy more space, machines, and facilities, does the system, processes, and culture scale to accommodate this? '," Batenburg suggested. Cable companies didn't do that well, and right now, most cannabis companies aren't either. "To be successful in the long haul, cannabis businesses need to be consciously developing systems, processes, and culture that are optimized and can be scalable," Batenburg stressed. As the U.S. industry ramps up in legal states, operators there should create supply chain operations today that are poised to scale up nationally in the near future. Otherwise, the cannabis industry faces the high costs of creating a national infrastructure like the cable industry faces today to keep up with advancing technology and consumer expectations. The cannabis industry has an opportunity to set the stage for a successful national rollout today. With foresight on the part of companies and industry advocates, cannabis can avoid many of the headaches that have plagued the cable industry. It's never before been more important for cannabis businesses to systematize their processes, procedures, and culture with the goal to always be attractive to an acquirer.